In the nineties the drug war was on and in full force. There were countless commercials, posters and text books depicting the face of an addict. There was a definitive look. Junkies were depicted living under bridges and pan handling on street corners. Fast forward and the transition to the ‘hard stuff‘ is unlike anything we’ve witnessed before. We are in a full war. Opiates, pain pills are the back door way to addiction and the transition to heroin. I’d like you to take a second and look in the mirror. That face you see staring back at you, this is the new face of addiction. present estimate is that close to 70% of present heroin users start with opiate use. That’s insane. An opiate is a narcotic that derives from opium poppy. You can find it in morphine, fentanyl, codeine as well as oxycodone and heroin. -I am not here to bash all pain meds, but I am asking for dialogue. We must have a firmer grip on what these medications are, their potential for addiction and what that looks like. Opiates have managed to wrap their tentacles around our neighbors, friends, family members and co-workers. It will grab hold and with swift motion begin to overtake how they eat, breathe and sleep. The transition from prescribed, legal user to an addict is unforgiving and relentless. It’s the lawyer prescribed a percocet for lower back pain. There’s the mom or aunt who tore hurt their knee and is handed a vile of pills to feel better. Or the brother who is given percocet after having their wisdom teeth taken out. It’s risk in a bottle that we have to acknowledge or provide a platform for voices to be heard. We need to talk and we need to listen. Not everyone who uses opiates will become addicted. Dosage, body makeup, genetics and propensity for addiction are all factors. There are many who will never develop a problem. They will simply use the medication for their intended purposes. There are many others who are not this fortunate. 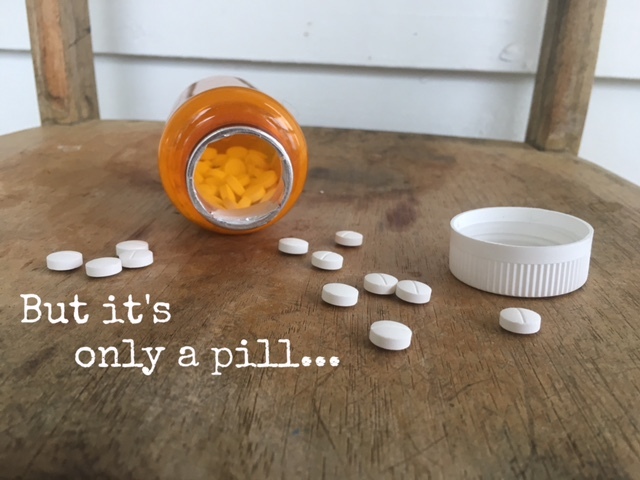 The transition from taking what is prescribed to taking more than intended is swift. Your body and mind begin to think about taking just one more. You crave it and begin to fixate on it; the feeling, the sedation the tranquility. Soon, there isn’t a morning, afternoon or night where you are not preoccupied with finding the when and how of another hit. Guess what? You’re an addict…. In a short stretch of time, it went from knee injury, public servant, mom, caretaker to full fledge addict. The number one priority is the next use. You want to stop, but you don’t, but you do, but you don’t. Welcome to the life of an addict. I believe our medical professionals need to be held to a higher level of accountability and training in this area. Doctors are being indoctrinated with itchy finger syndrome too quick to write prescriptions and dole out heavy duty medications. When it comes to opiates we have to look at the whole person. Currently, that’s not how the medical field is treating this. That needs to change. So where can we go from here? How are family members able to be better aware and equipped for this battle? There are drop boxes at most area police stations. No questions asked. Get rid of them asap. Kids and adults have a higher chance of popping a pill to alleviate pain or simply take the edge off when pills are accessible. Remove that option completely. How we perceive pills has impacted our younger generation. Many view pills as being not as harmful as they are. Mom takes them for her back. Grandpa takes them for his knees. They are not bad people. Pills help them. This dismissive outlook can land them in over their head before they realize it. I’m not feeling well. I’m uncomfortable. I’ve had a long day. Cue, pill popping. It’s not heroin or coke, right? The misperception is creating addicts. Good kids who now need treatment. Beautiful kids that we are burying way too young. Talk with your kids. Take time to go through your own medicine cabinet, secret hiding places and remove any risk factors from the equation. Mental red flags? Investigate. Are there any of the following: change in friends, increase in isolation, drop in grades, drastic change in behaviors, notice of valuables missing, or missing cash. If there are more than a few yes’s to this, investigate. Look in their room and /or their vehicle when they are not around. If someone you love is facing an opiate addiction, they need help. Try to go at it alone is not realistic, nor is it fair to them or your family. Help can start with a drug test (blood) at your family physician. This is confidential. If they are willing, seek treatment. Confide in a friend or family member who can recommend a program. Contact your young person’s high school SAC (Substance Awareness Coordinator) who can provide treatment options. This call is as confidential as it gets. I receive an email or call at least once a week from someone who seeking help. We do not have to do this alone. We are not intended to. I close my eyes and flash to the two dozen or so I know in my life who are gone. They are dead. Friends, high school classmates, acquaintances and young people I have worked with that were claimed by opiates. My heart aches. I am angry. We can prevent this, but our eyes must be open and our hearts receptive. Talk, listen and learn. The tide must shift. We can’t bring those we have lost back, but we can keep their memory alive by preventing another loss. I fight for the many who lost that ability due to opiates; fight for them. Thanks for sharing! It’s a topic that impacts SO many and we just need to keep dialoguing.